Happy Veterans' Day to all my fellow veterans and Happy Birthday to the Marine Corps! 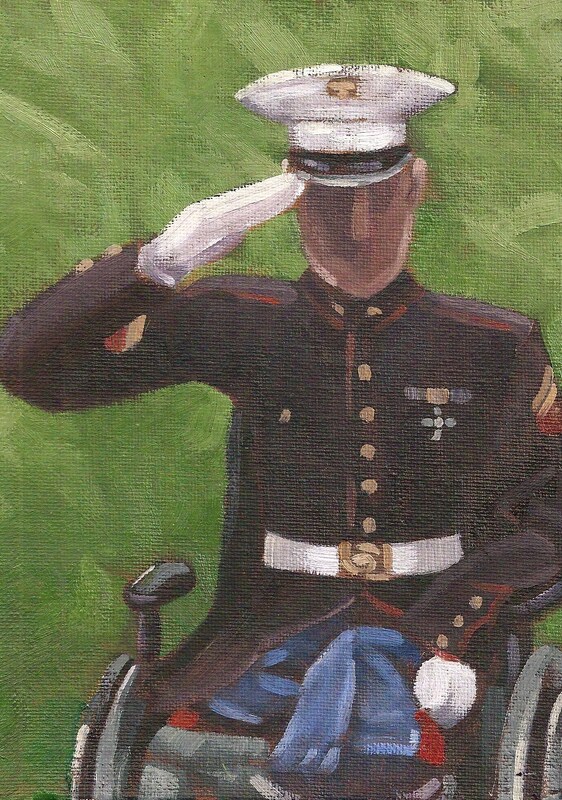 The response to this Vets Day painting has been overwhelming. I hope you all had a great day yesterday. A special hello to all my new Facebook friends. I want to thank Homes for Our Troops for posting this painting on their wall yesterday( especially Leonor) .Its extremely important for all Americans to place our Veterans first in our thoughts and prayers, not only this time of year but everyday.We all owe a great deal to those who have served to protect the rights and liberties we enjoy on a daily basis in this great country of ours.America is the only place on earth where one is truly free to rise to their fullest potential. A great deal of blood has spilled, a great many losses have been made to protect those rights and liberties.Please remember to thank the ones who have preserved your freedom.